What do Post-It Notes, Cable News Network, and Friends of the Shaker Library have in common? They were all launched in 1980, but while Post-It Notes and CNN had huge organizations behind them, Friends of the Shaker Library was begun by a small group of people who loved their library and wanted to find a way to support it. In 1980, as a student at the Kent State University School of Library Science, Phyllis Harper approached the Director of Shaker Library and asked if she could form a Friends group. The answer was a resounding yes and Harper established the nonprofit Friends of the Shaker Library with other neighbors who also had a love for the library and a vision of what could be. Twenty nine years later, Friends of the Shaker Library was honored to receive the Ohio Library Council’s Friends of the Year Award. 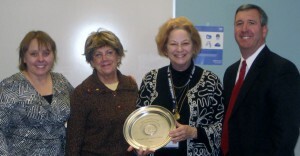 It was presented to them December 2010 as they anticipated a year-long celebration of their 30th anniversary in 2010. In 34 years, through the ebb and flow of different boards, Friends of the Shaker Library has supported the library by fund-raising (through semiannual books sales, membership and the sale of merchandise), campaigning for library levies and bond issues, and advocating for the library in Columbus. The Friends’ Book Sale has burgeoned from an annual event that raised $900 in 1980, to two well organized, semiannual books sales that generate approximately $10,000 each sale. The first book sale was held in a room at the Shaker Library and took volunteers a day to set up the books and sell them. Today, the group runs a slick operation that takes over the entire second floor of the Main Library and makes a huge assortment of books, movies, and music available to the community for four days. The sale is well organized thanks to the hard work of a steadfast Friend and a former librarian for the Cleveland Schools, Lyla Olden, who comes to the library every Wednesday morning, and with a few other stalwart volunteers, sorts, categorizes, and boxes the library’s donated books in preparation for the sale. This behind-the-scenes work by “a small group of thoughtful, committed citizens” has given the Friends’ Book Sale the reputation of a well run, well organized event. In addition to book sales, Friends has supported the library’s programming by underwriting Summer Reading programs and by providing for the giveaways and incentives that help to keep youngsters reading throughout the summer months. This, initiative, too, has grown through the years. In 1998, the Friends ramped up its contributions to summer reading and for about 10 years funded and hosted a Friday night Family Ice Cream Social and Summer Reading Kick Off on the lawn at the Bertram Woods Branch. Friends has promoted the Library through innovative programming. The longest running poetry series in a library, Poetry in the Woods, has had Friends’ support since its inception more than 16 years ago. This series has featured award winning regional poets, as well as visiting poets from Cape Cod and Rhode Island, who share their poetry with others. Friends has funded author visits, music programs, art gallery openings, Local Author & Book Fairs and an Arts and Crafts Fair. 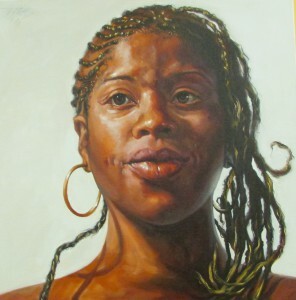 When Library Director Barbara Luton retired in 1994 Friends began the Barbara Luton Art Fund in her honor. Every year an art competition serving not only the library, but also the artistic segment of our community, is held. When the Library wanted to establish an Endowment Fund through the Cleveland Foundation, the Friends wrote the $10,000 check for the Foundation’s start-up funds. When the Library needed a way to transport material between its main building and its branch, Friends bought a large white van and had it imprinted with its logo and a quote by Ralph Waldo Emerson: “The only way to have a friend is to be one.” Now the community is reminded of the Friends each time the van drives up and down the streets of Shaker Heights. Friends’ generous gifts have included a motorized scooter for the Main Library so folks with mobility problems can hop in and drive around the library to find what they need. Red baskets with the Friends’ logo and small red carts remind library visitors of the Friends thoughtful support. Friends funded the purchase of Bee A Reader, the Library’s fuzzy mascot, often spotted at library events. Recent major gifts to the library have included funding for new Information Desks for the children’s and adult areas at Main Library. Friends’ board members have shared their time, talent, and creativity with the library. 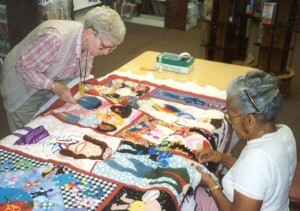 In 1992, when the library added a new children’s room at its Bertram Woods Branch, Friends of the Library organized a quilt project for textile artists ages 8 – 12 and adult volunteers. Working with a noted quilt artist, young textile artists designed quilt squares based on Jack Prelutsky’s poem, “Children, Children, Everywhere.” The quilt squares were pieced together and set out on a long table at the branch where adults quilted it. The happy result of the project hangs on the soffit in the children’s room next to a congratulatory letter from Jack Prelutsky where it continues to bring smiles to library visitors both young and young at heart. 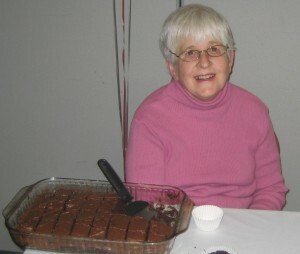 In February 2010, Friends held a novel fundraiser – A Feast-ival of Chocolate. Community members were invited to participate in one of two ways: to share favorite chocolate recipes with others or to join the Friends and taste and rate the decadent treats. Local grocers and specialty shops donated gift baskets as raffle prizes and three winners with the best chocolate recipes received coupons for the Friends Spring Book Sale. The tasteful program was fun for all and once again demonstrated that the Friends is a talented group with the ability not only to imagine a new program, but also to implement it. In 2012, Friends helped to celebrate the Library’s 75th anniversary with a benefit, The Jewel of Shaker. The benefit committee, chaired by Susan Gall under the leadership of President Bette Bonder, raised $7,500 for the library. In 2014, Friends organized a winter Friends-raising party called, “Literary Libations” a cocktail benefit loosely based on the book, Hemingway and Bailey’s Bartending Guide to Great American Writers. The night was such a success that the Friends planned Literary Libations II in 2015 based on the Book Tequila Mockingbird. In 2016, Literary Libations III will take a Shakespearean turn with the book, Shakespeare, Not Stirred. Thirty five years is not a long time, but in that time, Friends has donated more than half a million dollars to the library. 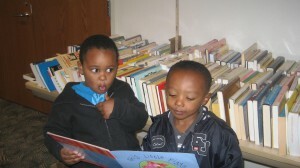 Friends is the enterprising group that helps to sustain the library and the go-to group when something is needed. That is certainly CNN and Post-It-Note worthy, and it all started with a small group of thoughtful, committed citizens who most certainly have changed the Shaker Library world!